Read below if you haven't already connected the dots to the long-running 'war on terror' campaign. And the repetitive Nato/CIA/Elite-controlled bullying tactics such as starting civilian unrest in these countries, planting the seeds of nuclear disinformation and more to justify the many wars the Khazarian-Elite have started to maintain a financial stronghold in these countries below. Are The Rats On The Run? As you know, things are never what they seem and appear. And while TPTW pull in their reigns ever-tighter on an increasingly-controlled media that do what they say and how, so more and more alternative news sites on the web are becoming an increasing number of global citizens' first port of call for their daily news. World news media have been widely reporting that Queen Elizabeth II has been hospitalized with “gastroenteritis” but MI5 sources are saying the Queen is not ill and that the story was put out so that she could cancel a trip to Rome where there was a real murder plot against her. The MI5 source says that Peter Hans Kolvenbach, the former “black pope,” or head of the Jesuits, who already got rid of the Pope, was plotting to get rid of the Queen during her Rome visit as a part of his plan to create a “one world religion.” Kolvenbach is now hiding in Lebanon where he has been helping orchestrate the ongoing Muslim brotherhood led “revolutions,” in the Middle East. He is expected to be captured and taken in for questioning soon. US President Obama, according to the gnostic illuminati faction. The gnostic illuminati claim to have started the French, American and Russian revolutions and are now pushing to free Europe and the US from cabalist bloodline rule, according to one of their “grand-masters.” According to the original, and now unraveling, plot to create a “New World Order,” Barak Obama was supposed to be the leader of a world government that would oversee the merging of Islam and Christianity into a one world religion. In the spiritual history of earth over eons, the dragon fly was once upon a time the winged lion. Many falls in consciousness on earth led to the modification and a literal downsizing of the various species, including the human. This is according to telepath Karen Danrich (of the-then ascenpress.org), who brought messages to readers from the many animal kingdoms and what each gift's humanity with regarding biological ascension at this time. 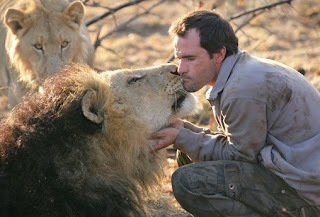 I've always felt deeply connected to the lion kingdom and the feline Sirian race of beings. I find myself spontaneously roaring like a lion sometimes (truly! ), I keep four cats because it's the closest I can get to those majestic felines and because I love them and numerous people in my past have somehow associated me with with these felines. So I was thrilled when Mother Sekhmet began contact with me. And then, most recently, I've been interacting with white lions in my dream time. I've woken from these always feeling enriched. And telepathic communications of my own with lions are now beginning to take on a new energy. Originally, according to Karen, lions were winged and were somehow interconnected to dragon history and consciousness also. When I did a piece on animal communication years ago and included white lion keeper and authoress of Mystery Of The White Lions, Linda Tucker, I became fascinated with them. No albinos, these genetic anomalies are considered Africa's most sacred animal. And there is fascinating African spiritual lore to accompany white lion history in the area of the Timbavati reserve where they live. This is also the area of the famous Kruger National Park in South Africa. In Zulu, Timbavati means 'lions who came down/fell down from the stars'. And, intriguingly, this place called Timbavati has not only seen the birth of white lions in the area, but also a white elephant with blue eyes (eventually killed by hunters), a white impala with green eyes, white leopard and other white animals. Equally intriguing is the fact that Timbavati is on the same meridian as the Nile river in Egypt and the Sphinx. In fact, the white elk/reindeer of Norway is said to have some northern hemisphere connection to the southern's white lion. Then there are the other white animals around the world: the Hopi prophecies related to the white buffalo and the white eagle. Each said to be sacred. In these brutal earth times, the majority of white lions have fallen prey to the canned hunting industry, being murdered for prestige and profit. Yet, the few remain protected from poachers under Linda's watchful eye at Timbavati. and describes her profound experience of being 'called' to the lions and some of her life since with them. It's highly recommended listening. PS. Note the numerous metaphors and analogies to 'fire' and 'burning' in the Lion message below. This is the new page on why the white lions are here, what they want us to know and how imperative it is for us to listen to them and develop a lion hearted approach to the future of our transforming planet. Please visit often for new messages. And do not hesitate to write me in the comment box on each page or at my email, mayachristobel@gmail.com. This morning upon waking from another lion in my dreamtime I heard them say, “You need to be our voice to the world, Linda is our protector and advocates for us. You need to be our voice to the human world.” I take this very seriously since my understanding, down to the bone, is that we are all connected and if we open, listen with reverence, and act according to what we hear, we become more aligned to the Source of All. So, I am venturing out with the information I am given for the edification, inspiration and encouragement for each and every one of us, to shed any skin that is not authentically your own, and grow into the perfection of your own innate nature, your own calling and purpose on this planet in this one tiny life you have. May you find the writings helpful, may you allow them to change you in the ways you need to change. “The world is in turmoil and about the birth a new species, a new order of living beings and will feel the painful birth pangs more and more every day. We are here to help those of you humans who are open and awake to your own spiritual connection to the earth and her power. We are here to instruct you about your origins, your responsibility and your power to withstand the process of transmutation of the entire planet that you are now feeling acutely especially after the tragic Tsunami in Japan. It will take a lion’s heart, a lion’s courage, a lion’s compassion and love, and a lion’s ferocity to change, to endure and to embrace these experiences that are only the beginning of the upheaval of all you know and hold dear. It is time to become responsible for the fate of your planet, the suffering of all the species that are going extinct and the pain of those who cannot care for themselves. To stand against greed, tyranny of the rich and powerful and stop the oppression of the beauty and sacred nature in everything. Now. Our very nature as White Lions is your greatest teacher. You need to observe us and take in that energy and spirit of Lion into yourself. Understanding that you are no different than us and we are no different than you. Your ability to understand the interconnectedness of all is crucial to this planetary change. Yet, so many humans are delusional and out of their minds and hearts that they are like rabid animals on the hunt, who encroach on territory that is not theirs, and threaten the life of entire prides, packs, flocks of other beings on the planet. That they would change their insanity is not a reasonable quest at this time, since there is not enough time to render this insanity obsolete. So you will face as a species a kind of burning out of your specie, massive culling of your herds by the natural laws of the Earth Mother. Violent, turbulent, massive in her clearing of the path for humanity to survive. You will feel that there is nothing but dying happening, like in a huge forest fire that engulfs millions of acres of land, so, that in such a short time the old fallen trees give way to new growth and new species of life from the ashes of death. You as warriors, with hearts of Lions must be prepared to withstand this burning out. You must be prepared to be willing to embrace the chaos, the suffering and the magnitude of the changes or you will die out as a species. This is the Truth. How? You ask. It is not simply a matter of learning about how to survive on a physical plane. It is a matter of learning how to band together as a pride does and telepathically connect your hearts and minds on one purpose: The Hunt. The hunt for your own survival that you cannot accomplish unless you are deeply heart connected and mind fused in a solidarity of purpose and move as one being together toward your future. As in a pride, if one member is left behind or cut out it is a matter of time before that member either dies or is prey for another animal. You must begin to surrender to your individual nature to be together, harmonious, clear, honest and heartfelt in your dealings with one another. Find your own pride….ask the Great Spirit to band you together in places that will feed your spirit and nourish you bodies. Hold to your own nature and your inner guide, follow your own instincts and inner knowing and put away childish thinking and striving and childish desires. You are needing to grow up as a species. Awaken to the fabric of the plan for this planet with does not include you humans continuing to alienate yourself from your spirit, from all that is alive on the earth. It is time for it all to stop. 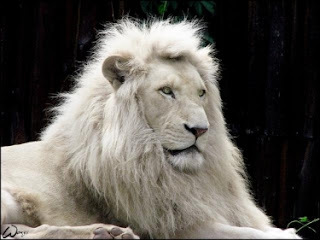 We White Lions in Timbavati are star children, star beings. We did in fact come to your planet from another planet long ago to be your guardians, so your future, your spiritual journey of growing up continues and we are here to help you learn about the nature of the Universe, the Stars and the ‘inter-stellular’ connections you have inside your ‘cellular nature’, connected outside yourself to entire cosmos. We are here to awaken you to the sacred ‘internet of your being’, connected to all living things. We are the guardians of the Akashic Records, the Keepers of the Light, the bringers of spiritual awareness and the very reflection of yourselves. It is time to come home to yourself. And we beings must be protected and we must survive with you. We are one in the same and you will understand that in a very short time. You as humans are in constant need of mentally knowing things. Times, dates, details. This is not a time for that now. You must release your attachment to knowing with your minds and cultivate a deep rootedness in your heart and the source of all knowing. Follow your impulses, the scent on the winds of your life, the signs of your times, the tracks in the sand around you and you will know how to go forward, what to do. But, you must be brave and not waver in this knowing even if it is against all the tide of human thinking. As I begin to share about the Message of the White Lions, I first want to say that all credit for this information starts with Linda Tucker who wrote the book “ Mystery of the White Lions, Children of the Sun God”. Here historical, astronomical and shamanic information is a wake up call to all of us in our lives and all my writing started with this book. The journey since has led me further into areas of wisdom that I will be sharing with you over the next few weeks, so please sign up to be sent new and updated posts.